Ismail Fahd Ismail is a Kuwaiti writer and novelist. Born in 1940, he has worked as a full-time writer since 1985. He graduated with a BA in Literature and Criticism from the Higher Institute for Dramatic Arts, Kuwait, and has worked as both a teacher and in the administration of educational resources. He also managed an artistic production company. 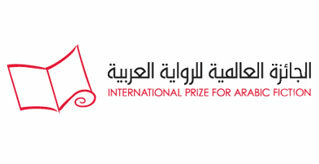 Ismail is regarded as the founder of the art of the novel in Kuwait. Since the appearance of his first novel, The Sky Was Blue, in 1970, he has published 27 novels as well as three short story collections, two plays and several critical studies. His novel The Phoenix and the Faithful Friend was longlisted for the International Prize for Arabic Fiction in 2014. His support for a large number of short story writers and novelists and his encouragement of new creative talent had a significant impact on the Kuwaiti and Arab literary scene.